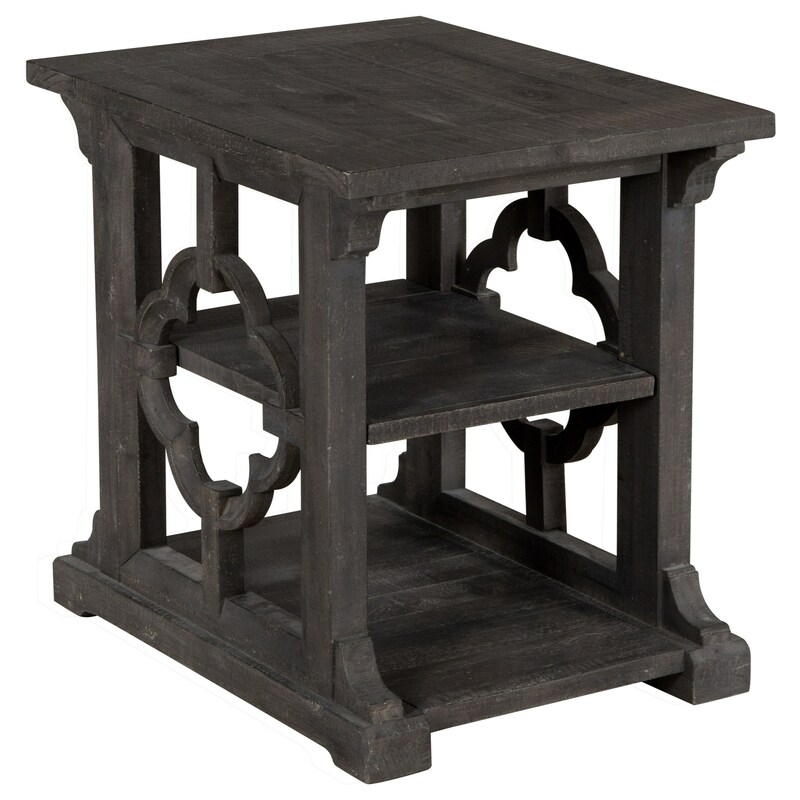 The relaxed vintage style of this end table embodies country elegance and creates an inviting look in your home. Placed beside a favorite chair or sofa, this piece is sure to bring an additional touch of charm to your living room. The Norwood MH Relaxed Vintage Rectangular End Table by Magnussen Home at Miskelly Furniture in the Jackson, Pearl, Madison, Ridgeland, Flowood Mississippi area. Product availability may vary. Contact us for the most current availability on this product. This collection's relaxed vintage style has been paired with a rich, dark finish to create pieces that are both elegant and welcoming. The decorative details present throughout the collection make these pieces stand out and shine in your home. Their effortless style makes them a perfect way to freshen up your living room with an additional touch of elegance. The Norwood MH collection is a great option if you are looking for Relaxed Vintage furniture in the Jackson, Pearl, Madison, Ridgeland, Flowood Mississippi area. Browse other items in the Norwood MH collection from Miskelly Furniture in the Jackson, Pearl, Madison, Ridgeland, Flowood Mississippi area.